Christian Tietze has started a page collecting the various software tools available for the implementation of the Zettelkasten method of note-taking, storage and retrieval. He is inviting contributions for suggestions and reviews. Access it here: Zettelkasten Note Archive Software. Apparently there is a word for the system that I’ve been constructing out of various software and hardware: it’s called a “toolchain.” Check out the use of toolchains in ethnography here and here. I’m glad to see that there is another researcher for whom ConnectedText works as a replacement for a mainstream QDA software (in this case Atlas.ti). The problem with developing a final outline for a PhD dissertation chapter is that it is difficult to know when the outline is really final. It will be final of course when you are confident enough that it is of the requisite quality. The difficulty is how to identify the boundary between the conceptual development stage and the stage of writing-up for presentational purposes. For academic writing it is the former that is the main headache, i.e. coming up with the content, rather than putting it into its final shape. It happens all too often that you think you are in the second stage, only to discover that you have more conceptual development and clarification to do, and you are thrown back into stage 1. For now I can’t seem to find a better answer than to push on with aiming to reach a final outline, even if it turns out to be an interim stage of conceptual development. Then I just start developing a new “final” outline, hoping that it will really be the final one. As part of this process I am constantly switching between software tools, in search for specific features more suitable for the particular tasks in the subsequent stages of development. This reflexive and recursive process of dealing with multiple outlines in multiple software tools eventually reveals an arrangement of outlines in an arrangement of software tools, and a shape-shifting process flow that adjusts itself continuously. It is like an experimentally assembled moonshine distillery for the purpose of abstraction to be achieved by routeing ideas (textual content) from one vessel to another, until they acquire sufficient clarity to be bottled and labelled and sold to a discerning public. Here is a slightly revised graphic (following on my previous post) showing the current distillery and the process flow. Its shape has become slightly clearer to me. 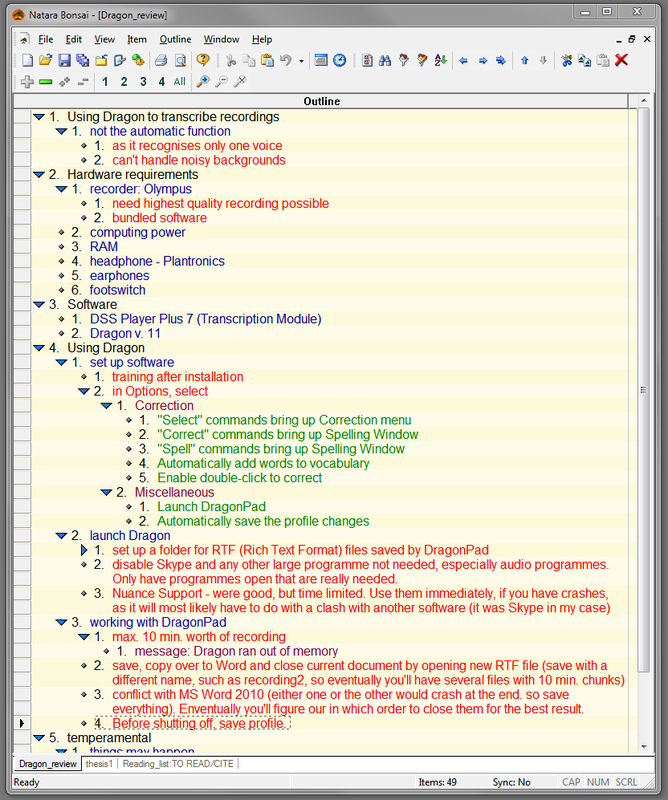 On the left we start with the notes database in ConnectedText. It is the base, the alpha and the omega. It contains the fruits of my research work. However, I now need to extract the spirit and the flavours with my distillery apparatus. Initially I extracted and organised the main conclusions in Natara Bonsai outlines. Bonsai is the fastest tool I have for organising lists into meaningful hierarchies and then drawing ‘final’ conclusions from these conclusions. Parallel to this I have been developing a chapter outline in Outline 4D. I have also used O4D to summarise some ConnectedText meta topics which were already extractions of important findings (as opposed to the summaries of specific articles that have been analysed in Bonsai). As O4D allows for inline notes in its outlines, I have also pasted in selected quotes (from CT, which came from the original readings) to support particular outline items (my observations). I also have a 7000-word draft in MS Word that I wrote at an earlier stage partly as an effort to break out of the circular outlining process and force myself to finish this stage (the target is a 10,000-word chapter). However, the draft writing process just turned out to be another stage of the distillery, as I have found some gaps in my conceptual structure. It felt like Word was a laboratory where I tried to assemble the parts but the trial failed and I needed to get back to the drawing board. VUE was the drawing board, and concept mapping was the process of drawing out the issues for my conceptual apparatus and reorganise my argument. VUE was a kind of an experimental space, a sandbox. It is placed at the top of the diagram because it is an overview of everything that is going on. First I created a reverse outline of my Word draft, to get a better understanding of my argument so far. Then I also developed an outline (well, more of a concept map) for the next stage of writing. I should mention that I also have an overall outline for the entire thesis kept in a Scrivener project, which contains some relevant material for this current literature review chapter as well. I will need to review it as I embark on constructing my “final” outline. I have settled on a Freeplane mind map as a way of constructing my “final” outline, which would hopefully lead me through the final – presentational stage – of writing up. In the past I didn’t quite see the point of formal mind maps, as I preferred the freedom of concept maps. 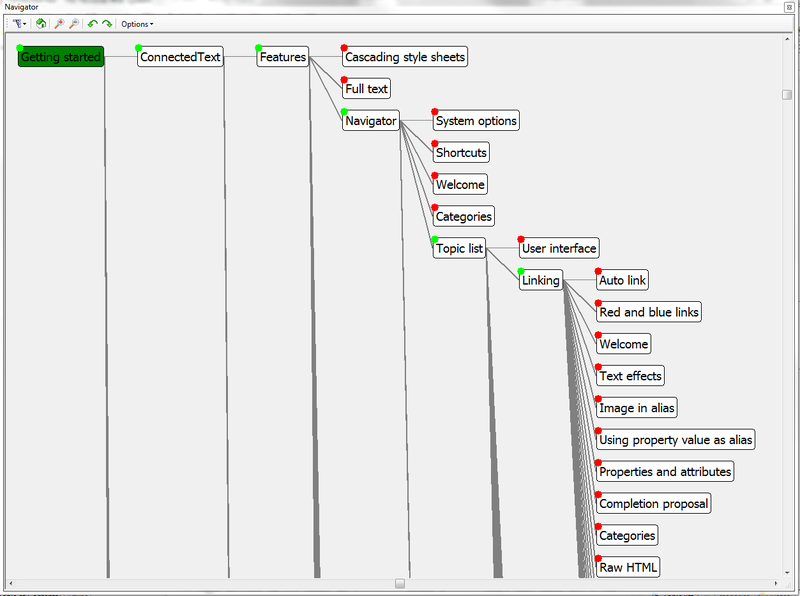 But now I see that a mind map – combined with Freeplane’s functionalities – is an excellent way to develop a final outline. First, a mind map forces you to define a final hierarchical order between sections, ideas and paragraphs, which the final draft needs to have. Secondly, a Freeplane mind map is very economical with screen space, allowing you to cram a lot of information in and be able to navigate it and visualise it easily. Thirdly, it allows you to switch between a mind map and an outline view. 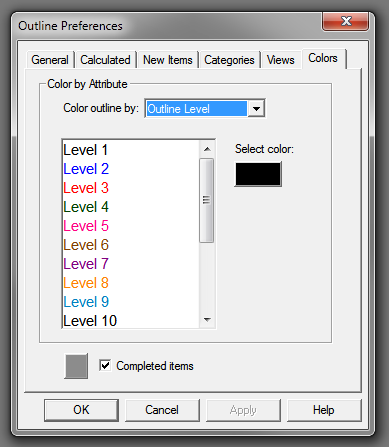 Fourthly, it allows you to add notes to items, which can be chosen to be displayed inline, effectively operating as a single-pane outliner with inline notes (of which only a handful exist in the world). Fifthly, it allows you to export into RTF file format in such a way that the inline notes get displayed below their items, and the items are assigned headings according to their hierarchical level. 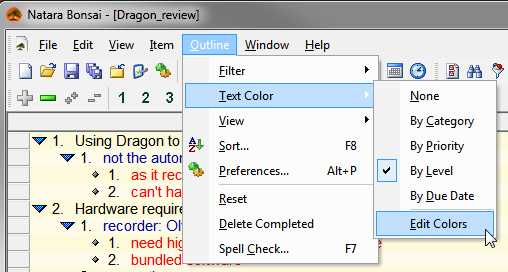 So for example in Word or LibreOffice, items can be viewed as section headings in the Navigator window, a set-up that can be used as a dual-pane outliner. Also, the headings can be used to create a table of contents. Finally, (building on the fourth and fifth point), you could construct a complete sentence outline in Freeplane by using items as topic sentences and notes as the evidence to support the topic sentences (e.g. quotes or other details). Even a simple “copy and paste” into Word creates a bullet-pointed hierarchy, which then can be transformed into a draft (although with this export method you don’t get the headings formatting preserved – but that may be preferable in some situations). I am planning to do the final writing in Outline 4D though (which will require importing the RTF file with the headings and notes), in recognition of the possibility that this “final” Freeplane outline may not turn out to be entirely final, and rather than create yet another reverse outline or concept map to keep track of the underlying and implicit conceptual structure, I could just use O4D’s outlining functionalities to keep track of the evolving implicit outline of the draft. This could also be done in Word, simply by modifying the headings that get displayed in the Navigator (as a dual-pane outliner set-up). However, I find O4D’s single-pane view more conducive for this simultaneous writing and real-time (reverse) outlining, as O4D has many helpful alternative visualisations of the text and the outline. Do I worry that I get carried away with playing around with software tools instead of doing the writing? You bet. Although there is definitely a ludic aspect to this, in the end the distillation process is real and necessary. I would need to carry out the abstraction process somehow in any case. I am hoping that by constructing a sophisticated distillery I will be able to extract and construct a higher quality final product. Could I be wrong about that? Yes, that is a distinct possibility. However, academic research is by definition an experimental process and experiments (and experimenters) can fail (and they often do), perhaps even more frequently than they succeed (which is why so many PhD students never complete their theses). All I can do is carry on and hope that my experimental process and set-up produce a satisfactory result. After having seen Brian Lennon’s setup of a ConnectedText window stretched across two monitors, of course I couldn’t rest until coming up with my own ideal two-monitor configuration for my current workflow. I would suggest that any CT window configuration is workflow-specific, i.e. different projects require different arrangements of panes to maintain optimal workflow. (CT allows you to save your desktop configurations, so you can have as many variations as you like and switch between them freely.) See my two examples below, one with the browser pane in the second monitor, the other with the Navigator pane. I’m using CT’s help file, “Welcome to ConnectedText,” as my project example. The rationale behind my arrangement is the following. My current task requires me to work with topics (rather than the reading displayed in the browser), therefore in Monitor 1 I prefer to focus on information that pertains to the topic at hand (such as its “Table of Contents” or its links in the “Summary” pane). The “Topic list” is there for easy browsing and so that I can drag and drop topics into the body of a topic when I need to create a link between two topics (such as adding a reference to a citation). The “History” pane serves as a quick way to alternate between topics that I’m currently working on. Monitor 2 contains panes that I would use less frequently, so that I can still switch off this monitor when I need to block them from view, such as when I need to focus on writing in the main topic edit pane in Monitor 1. 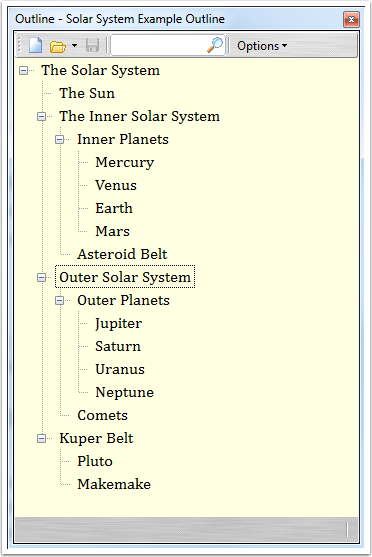 The “Category” pane lists all categories within the currently opened project (database file). The “Search results” pane shows all topics sorted by relevance that contain the search term I’ve recently searched for. To my great delight CT has recognised my default PDF-XChange Viewer plug-in, which means that I can do searches and add annotations (highlighting, notes) to my PDF files directly in XChange Viewer, without having to leave CT. If anyone else is willing to share their CT window configuration, just send me an email with your screenshot at docandus [at] gmail.com and I’ll be happy to post it on this blog. ConnectedText (CT) is a highly modular application, with a large number of panes that can give different views of your data more or less simultaneously. Viewing a lot of panes at the same time requires screen real estate, therefore CT can particularly benefit from having a second monitor. Users with two monitors are presented with a decision to make: one could undock some of the panes and move them over to the other monitor, or one could keep them all docked but stretch the CT window across both monitors. I belong to the first camp and I only use my second monitor for undocked floating CT panes (especially the Navigator pane, occasionally the Outliner pane). My main reason for this is that I only turn on the second monitor when I really have to, as I usually find it too distracting when I need to concentrate on working in the main monitor. However, recently I came across Brian Lennon‘s screenshot of his CT setup, who prefers to work with the CT window stretched out across both monitors. Many thanks to Brian Lennon for giving me permission to use his image. P.S. Novices may find the docking process in CT rather tricky at first. Watch the second tutorial video to see how to carry out the docking of panes in ConnectedText.